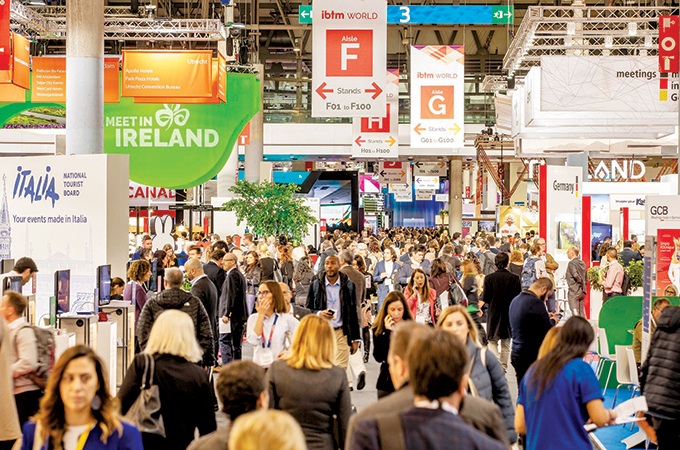 IBTM World 2018 ended on a high note in Barcelona, having broken records both for the number of pre-scheduled meetings and across its hosted buyer programme. Over 77,650 pre-scheduled business meetings took place over the three-day event, with exhibitors and event planners reporting extremely positively on both the quantity and quality of meetings taking place. This year exhibitors from 150 countries attended, including some major names taking stands for the first time. 54 per cent of hosted buyers were participating in the programme for the first time this year - up 20 per cent on 2017. Half of the hosted buyers were completely new to the IBTM portfolio, an increase of 16 per cent year-on-year. As well as welcoming back many long-standing exhibitors, new exhibitors this year included Tourism Promotions Board Philippines, Macau Trade and Investment Institute, Rosewood Hong Kong, Plus DMC, Regal Hotels International, San Francisco Travel Association, SIXT GmbH & Co, Global Passenger Network, Barbados Tourism Marketing Inc, Beijing Municipal Commission of Tourism, Development Hong Kong Tourism, Alternative Athens, Tourism New Zealand, Standard Hotels and creative technology company Codemodeon. This year three keynote speakers headlined the 54-session strong Knowledge Programme, designed to enhance events expertise and keep attendees on the cutting-edge of industry trends. Zenus and Fielddrive were joint winners of the prestigious IBTM World Tech Watch Award and Kubify were crowned winner of ‘Tech Watch People’s Choice Award’ a new category this year. Eric Bakermans, director marketing, Meetings and Convention at NBTC was awarded the IBTM World Lifetime Achievement Award at the Meetings Leadership Summit, which took place in the eve of the event at the Fàbrica Moritz factory.